If you've ever had the love of a good dog, you know how soul-crushing it can be when they leave us. A loyal dog is a true companion - they love us despite our shortcomings and failures, they're constantly happy to see us (even if we just left the room five minutes ago), and they somehow always manage to know when we need to feel better at the end of a long, rough day. It's hard to stay miserable and grumpy when someone comes running up to you at full speed, paws sliding everywhere, greeting you with a wet, slobbery kiss as you walk in the door. When a pet dog dies, we're often left with a devastating feeling of loss. There's a giant doggy-shaped hole in our heart, and if your dog was the only pet you had, the sound of the silence in your home can be deafening after they cross over. Although it won't make your heart hurt any less, some people find comfort in holding a short ritual or saying a few prayers as a way of bidding their canine companion farewell. 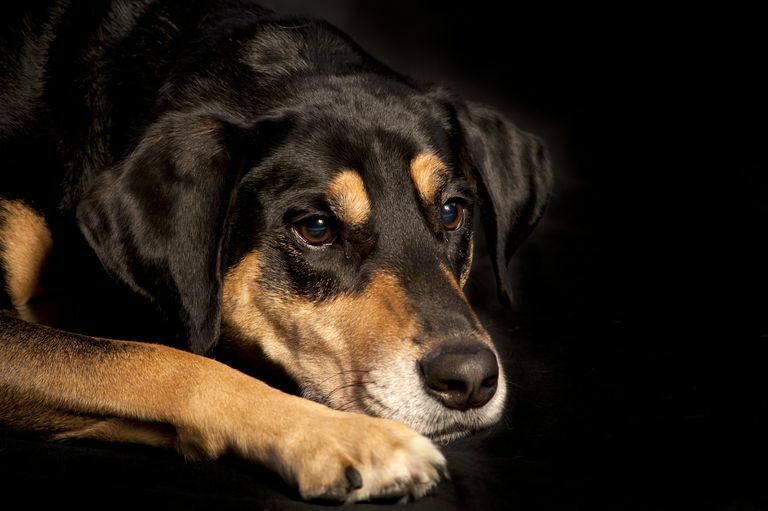 These three simple prayers can be offered as a way of saying goodbye one last time - and this can be especially hard if you've had to euthanize your dog. Say farewell in a way that honors your dog's wild spirit, pays homage to the gods of the pack, and lets him know how much he was loved. we say farewell to you now. and offered us unconditional love. and we will remember you forever. In days gone by, the dog ran wild, untamed and free. we have never tamed your spirit. with your wild ancestors, racing by the midnight moon. taking what is your birthright. and run with your kin on the wild hunt. Run, and guide your spirit home. as he runs to the afterlife. may you welcome this dog to the next place. brave and loyal in life and death. If you've lost your dog - whether it was sudden and traumatic or following a long illness - it can be hard to cope. Dog Expert Jenna Stregowski, RVT advises on how to handle the grieving process after the death of a beloved pet. Jenna says, "The most important thing to remember is that grief takes time. You will always miss your companion, but things will get better. At first, there will be more bad days than good. Then, you will find that the bad and good days are even. Soon, you will have fewer bad days, and it will be easier to focus on the happy memories with less sadness." What Role Does Prayer Play in Paganism?